Ker here: I get weird looks too, Phi! The card usually helps to explain more clearly than I can do in the moment! I met Kerri over a year ago and have truly loved getting to know her and spend time with her. You may have seen my name pop up on She Ordered What a few times (see here, here, and here), but for those of you that may not know me, my name is Philia (Phi for short) and I have a food blog called the Sweetphi blog where I share simple, sweet & savory recipes and love to share how delicious food doesn’t have to have a bazillion ingredients or take hours to make in order for it to be great! But truth is, even though I love to cook, I love to dine out too! There’s something truly great about picking something off a menu, having it brought to you, and then when you’re done enjoying your food you can just leave (I mean, obviously you have to pay or there would be problems) and you leave the mess for someone else to clean up. That, in and of itself is enough to send me to a restaurant, especially since I’ve been so busy lately that my kitchen is looking neglected and like I have a reoccurring tornado staying with us. And by ‘us’ I mean my hubby and I! So this week when he suggested going on a date night I whole heartedly agreed. 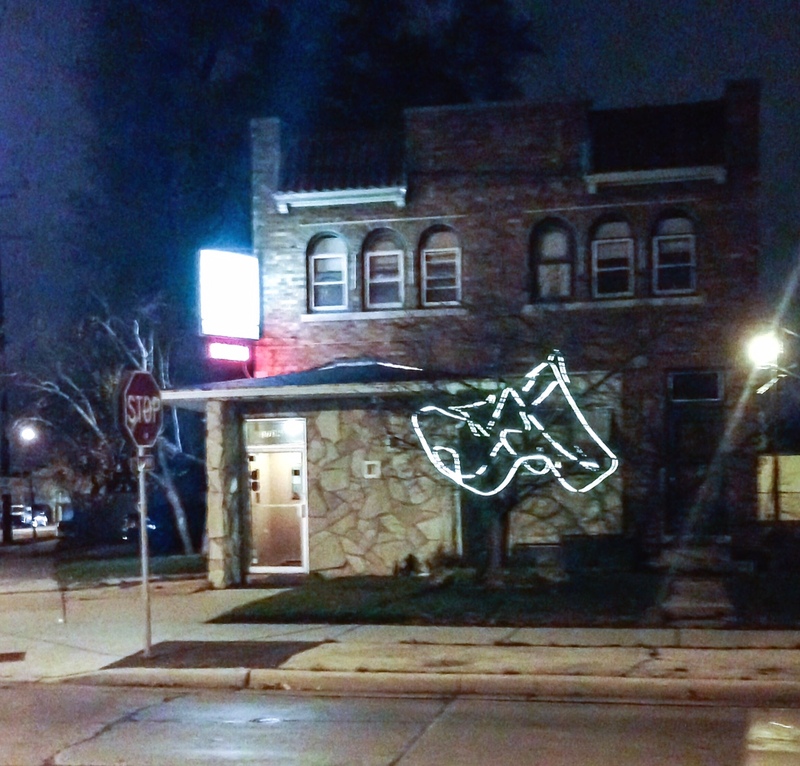 We decided to go to Jackson’s Grill a lovely supper club in Milwaukee, about a mile away from Miller Park. I had heard of supper clubs being a ‘thing’ in Milwaukee, but had never been to one and wasn’t quite sure what they were, so I was happy when I heard the waitress telling a table over from us that they were a supper club and that meant the establishment only served supper…seems like a pretty cool concept if you ask me. As soon as we entered, it felt like we were transported back in time. The beige décor, antique fixtures and the lingering smell of food, all made for a very welcoming environment, not to mention the gorgeous mahogany ‘old school’ bar one had to walk around to get to the restaurant portion. We were sat immediately, and our server mentioned that they had a wine list, but that they made a really good Old Fashioned. Old Fashioneds happen to be one of my hubby’s favorite drinks, and not wanting to be left out, I ordered one as well. 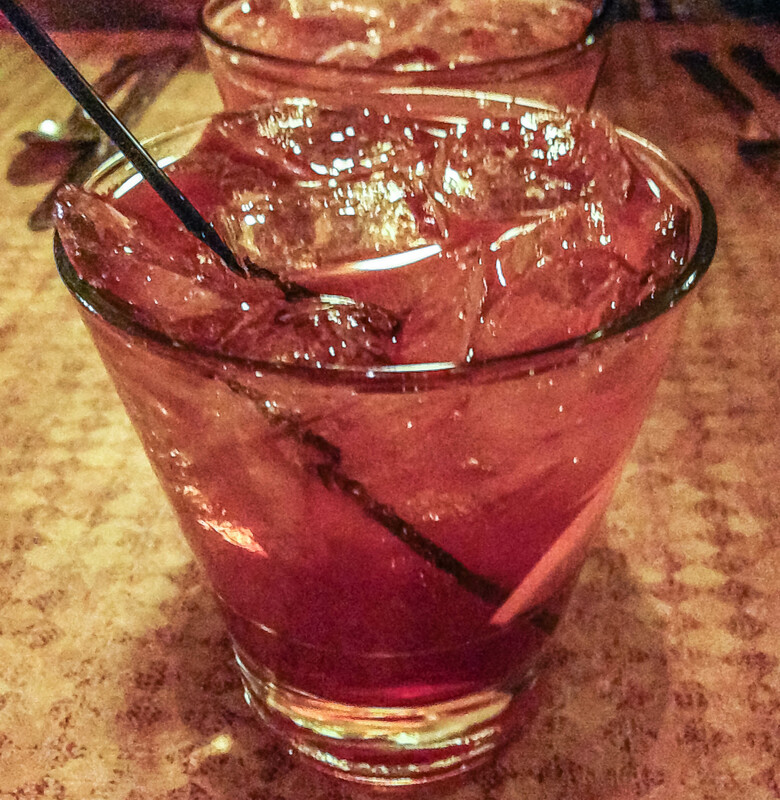 The server did not lie; they made a really good Old Fashioned. They were HUGE too! For starters we had a cheese plate. 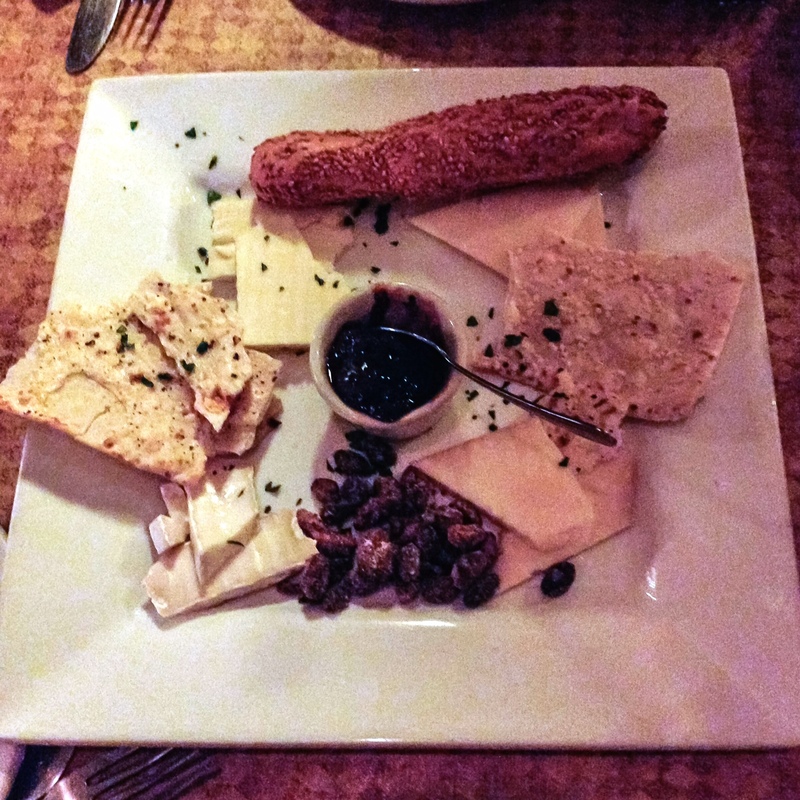 I just can’t resist a cheese plate, and this one did not disappoint. 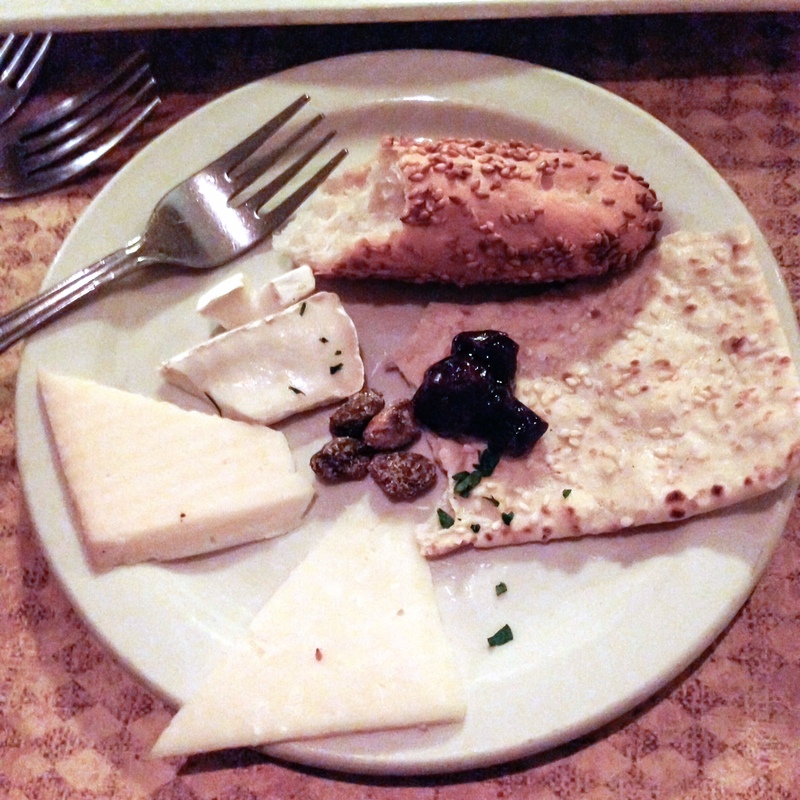 Besides the selection of cheeses, there were spiced pistachios and wonderful cherry compote. After our cheese plate arrived, we ordered. I told the server what I was doing (having her order for me) and she played along, just asking what doneness level I liked my meat. Our meal came with soups or salad to start, and both my husband and I got soup. The server picked a seasonal butternut squash soup for me, and my husband got the seafood bisque. While I did enjoy the seasonality of the butternut squash soup (it had brown butter drizzled on top and slivered almonds) it was a bit heavy for my taste. 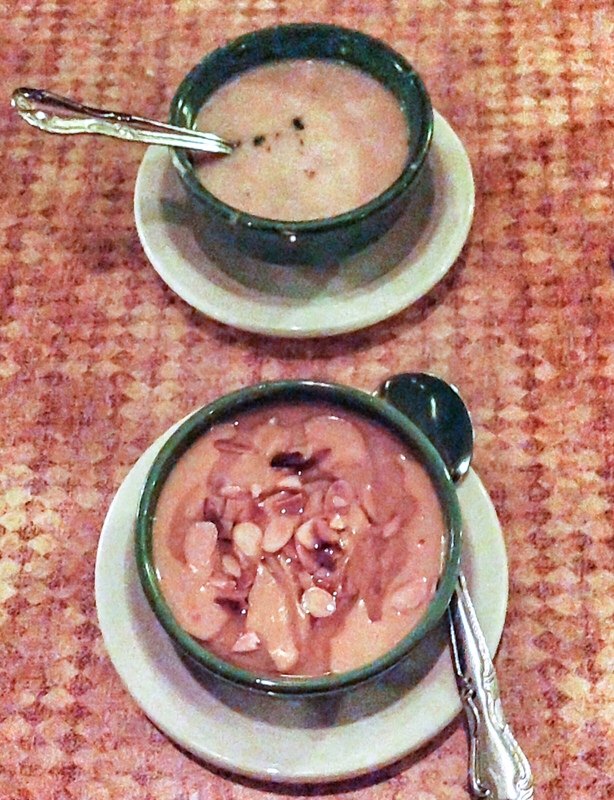 My husband’s seafood bisque on the other hand…that I would order time and time again, it was absolutely delicious! 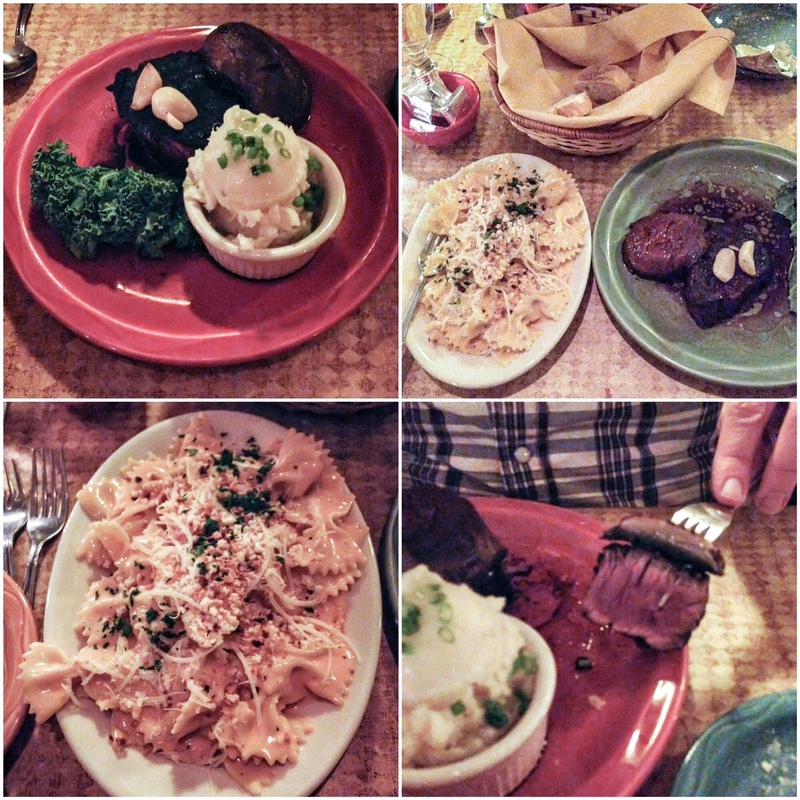 We then received our dinners and I was happy to see that the server had chosen the same dinner for me as my husband had, just a smaller portion and a different side. My husband got the 10oz Black Angus Filet Mignon al a Portobello with garlic mashed potatoes, and I got the 6oz Black Angus Filet Mignon al a Portobello with mac and cheese. 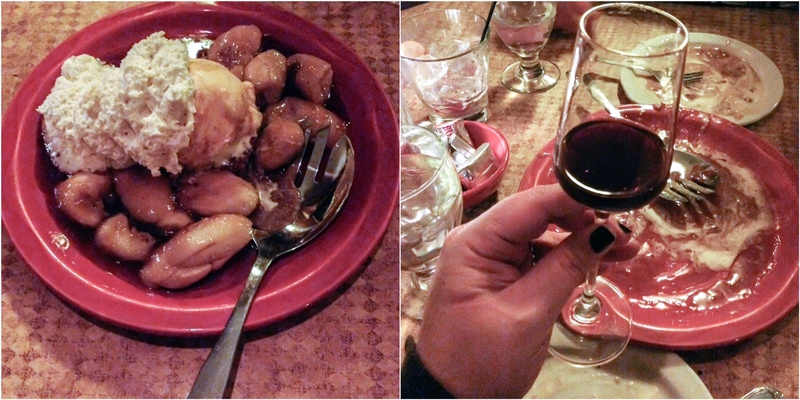 We finished off our dinner with a dessert I’d never had: Bananas Foster. I’d go back to Jackson’s Grill for this dessert alone. Warm bananas in a caramel sauce topped with vanilla ice cream. My husband got a little glass of port that accompanied dessert. It was the perfect finish to our meal. 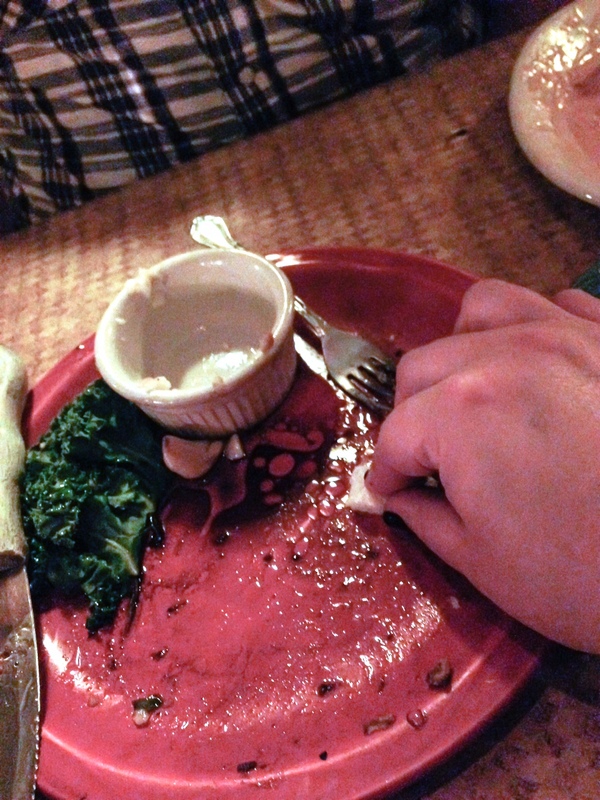 I would also like to note that the entire meal: Cheese plate, soup, steak, dessert, took only an hour in its entirety. What a lovely little supper club that I’m sure I’ll be going to again! After doing this I have 1 question for Kerri – how do you do it? How do you take pictures with such ease in dark restaurants and make them look good? So many props to you and your wonderful blog! Ker again… Phi, my blogging / photo best friend has become Snapseed! Here’s the link to the iPhone and to Android app. It’s so easy, even when I take photos without flash, to correct the images so they properly represent the food I’ve actually received (even in dark spots!). If you’d like to connect with me, you can find me on twitter (@sweetphi), Instagram (PhiliaKelnhofer), or on Facebook (SweetphiBlog). Thanks for having me on your blog Kerri! Thank YOU, Phi for sharing your wonderful and romantic (Nick is a gem of a guy!) experience in adventuresome dining! 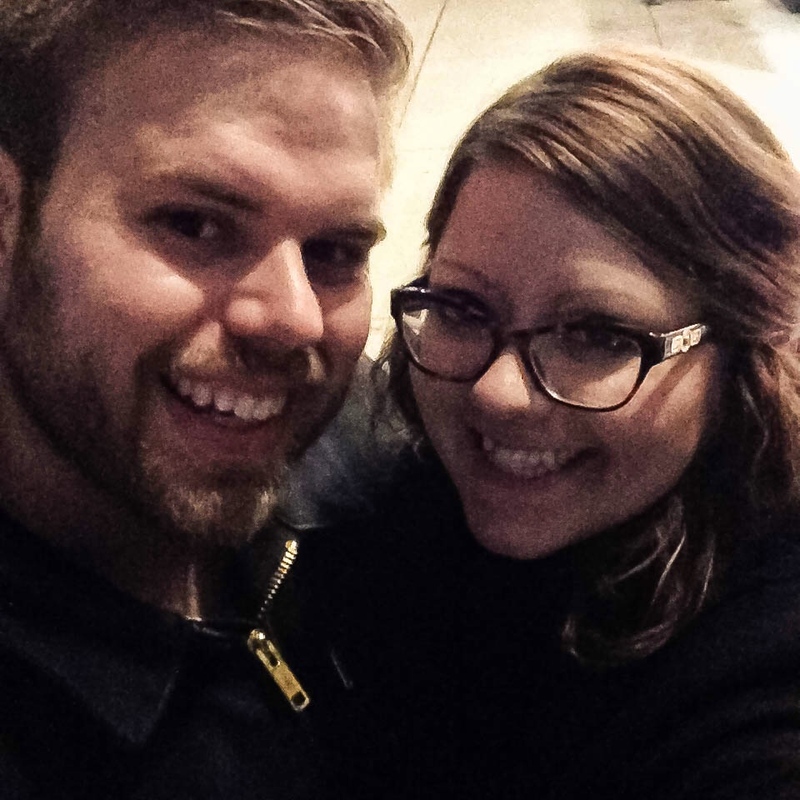 I could NEVER pull off an incredible blog like yours, but I certainly can learn from it! I’m flattered that you spent time offering to contribute to SOW. Thank you so much! Awe I LOVE this Ker, I’m so excited I got to share my experience here on your amazing blog, I truly had fun doing it! Love that you have cards made, I can definitely see that making the process a whole lot easier! Can’t wait to see you soon. Likewise, Phi! So glad we have fun plans soon! It’s been too long! 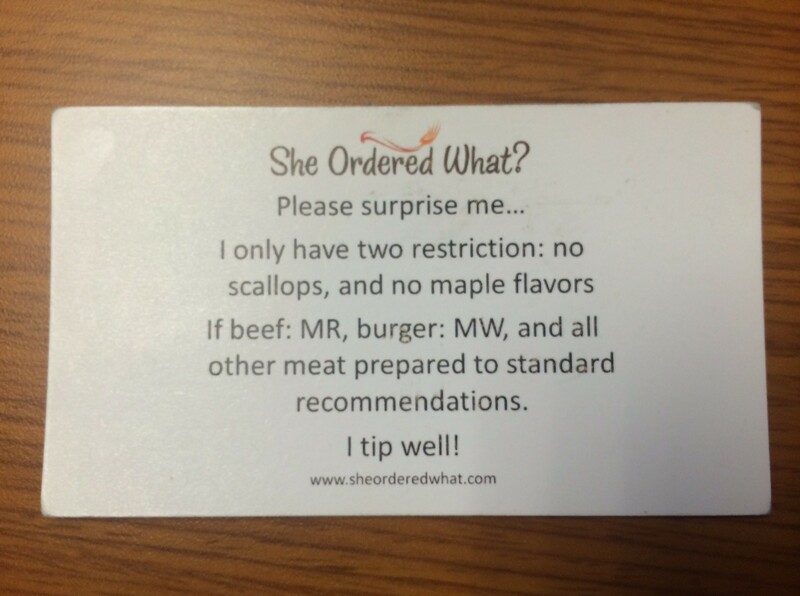 Thank you again for sharing your supper club experience! That dessert does sound interesting and good. Snapseed, indeed, Ant! FTW. I have to agree with Phi that bananas foster is a great dessert. I once made it for a good friend of mine – so worth it!